I see an accelerometer on there..
the corresponding i2c blocks could make things interesting if they're open and not locked to this board only. 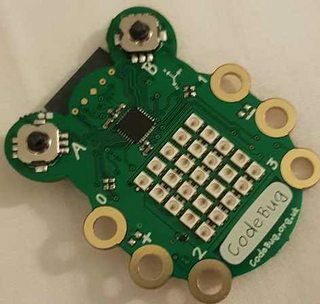 Topic: A high resolution codebug? 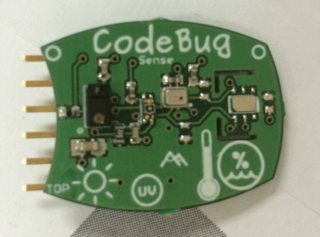 Re: A high resolution codebug? 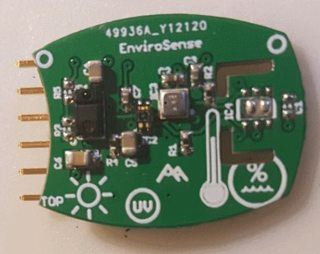 also didn't realise esp32 now has internal temp sensor, and bluetooth as well as wifi. Was that a pre-order just been shipped - or are they actually in stock anywhere now ? I did setup http://microbitforum.co.uk a while back - but it's empty at the mo. Topic: Scroll text with values gathered from input pins? Re: Scroll text with values gathered from input pins?